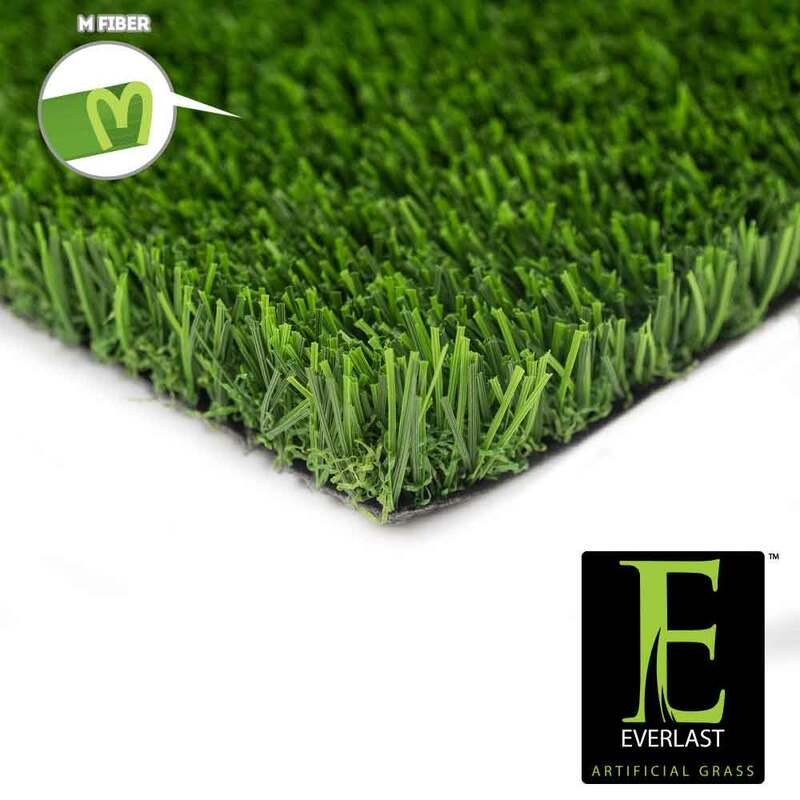 Everlast Turf Versa features a superior “M” fiber that is capable of enduring all moderate to heavy levels of foot traffic. Paired with an approximate face weight of 65 ounces, Versa is an ideal choice for any residential or commercial landscape area that qualifies as an active space. Versa features dual blade colors consisting of field and lime green combinations. An approximate 1.375” pile height and green thatch creates a plush and vibrant lawn that is likely to turn heads. Ideal for any front yard or backyard installation, Versa is also non-toxic and lead free, creating a perfectly safe and fun landscape alternative for kids and pets. Tuft bind technology has been incorporated within all our of products. Each grass blade is triple reinforced into the backing which provides this turf an exceptionally strong resistance to pull force. Everlast Versa is backed by our 15 year warranty. We guarantee your synthetic grass lawn will last you for years to come!